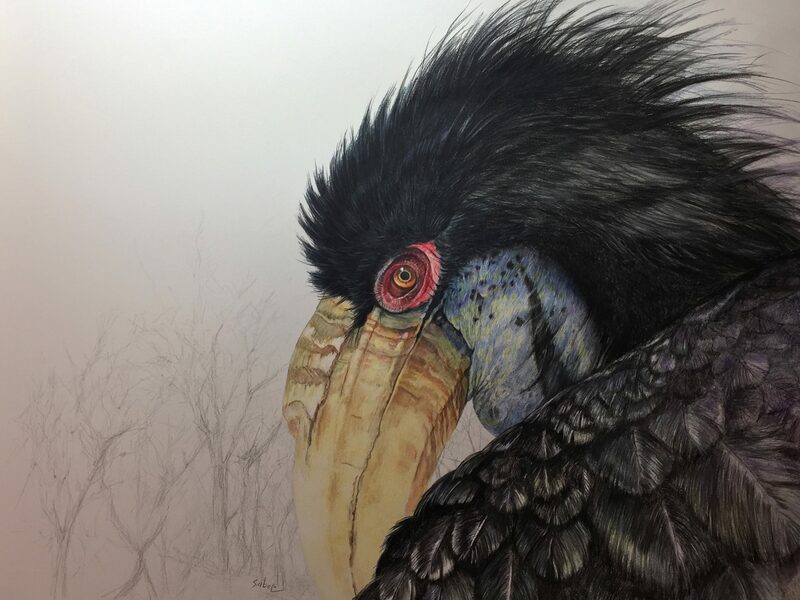 This entry was posted on Tuesday, October 24th, 2017 at 10:39 am	and posted in animals, art, birds, colored pencil. You can follow any responses to this entry through the RSS 2.0 feed. Ouu that is an interesting bird!! I think I’d like to go to the Tracy Aviary too!! I think you did it excellent justice!! Always amazes me how you can get such life to the eye with a pencil!! Keep doing birds, I like the way you draw them! !